I shot this little guy on Nov. 11th at 4:15 in the evening. He was at 22yards and had a 30 yard recovery. 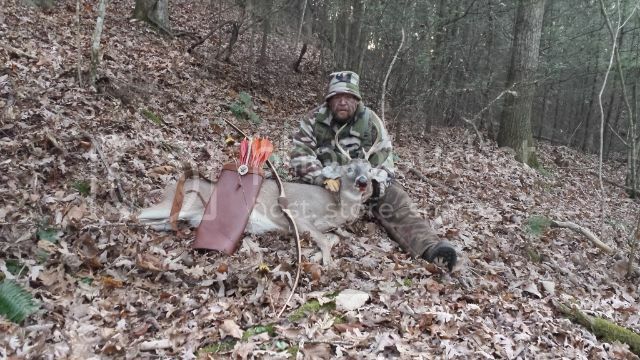 Another kill for my David Miller Old Tom, with a Cedar arrow and a Bear Greenie. Only the second buck I have saw all year while on stand. Congrats to all that have had a successful season. Re: Another for "Old Tom"
That's great Tom, Keep up the good work. nicebuck way to close the deal! !